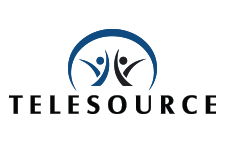 TeleSource Communications’ Technical Assistance Center (TAC) delivers the comprehensive technical support required to run your businesses and keep the critical communication services and systems continually running. Our multi-location service centers are strategically placed to offer a solution that is available during regular business hours, weekend and after-hours as well as 24x7x365, making it unique in the industry and flexible to our client’s business needs. Single point of contact to eliminate disruptions to your business operations. Scalable to your individual business needs. Flexible Service Level Agreements based upon standards that you define.